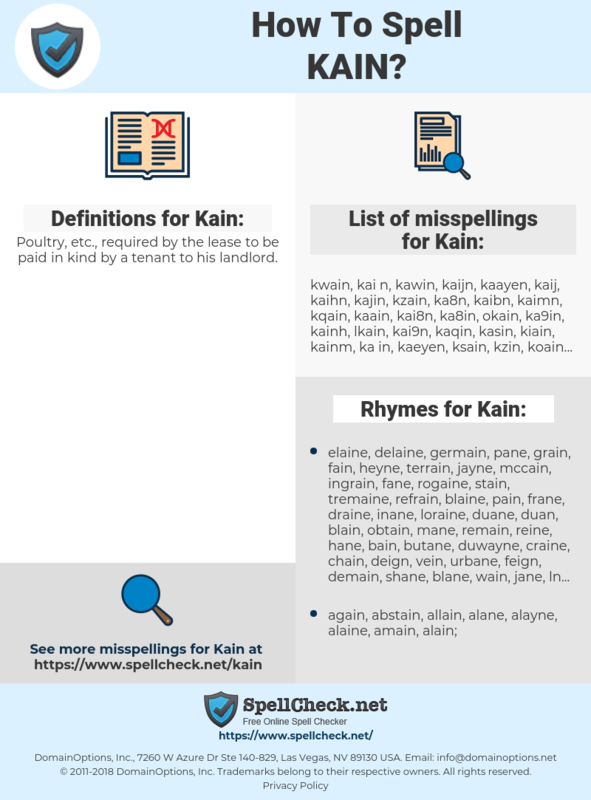 What are the common mistypes for Kain? What is the definition of Kain? What are the usage examples for Kain? What are the rhymes for Kain? What are the translations for Kain? 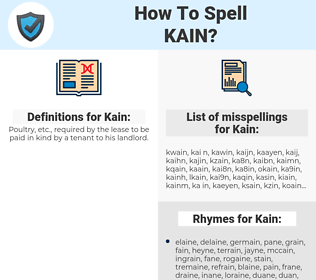 What are the common typos for Kain? Poultry, etc., required by the lease to be paid in kind by a tenant to his landlord. Kain as a boy's name is pronounced kayn. It is of Hebrew origin, and the meaning of Kain is "acquire". Variant of Kenan. Biblical: refers to the tribe of Kenites or to a city in Judah. See also Cain. This graph shows how "Kain" have occurred between 1800 and 2008 in a corpus of English books.